This test and tune will feature a practice autocross course (timed but not recorded), a stand-alone slalom, and skidpad. Course map will be posted on the forum at least a few days ahead of the event. The autocross course will consist of basic features (easy to read at speed) allowing you to focus on tuning your car. This event should average 16-25 runs per driver. Some people may get more or less runs depending on how much time they spend fixing their car, at lunch, or on the slalom/skidpad. Registration will be limited to 55 entrants. 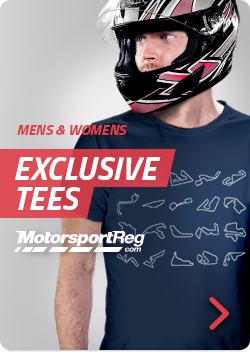 Pre-payment is required via Motorsportreg -- first come, first serve. Cancellations may be made by contacting the registrar. Your grid spot will be your paddock spot. We will have limited trailer parking available. We will be checking sound -- more details on following page. This event is not appropriate for brand new drivers. Must have driven several autocrosses with TAC. All drivers (including early workers) are required to work. Minimum of 17 people required to put on the event. ONLINE PAYMENT REQUIRED VIA MOTORSPORTREG. You are encouraged to become a member of TAC at the event for $20, or TVR-SCCA online at scca.com/pages/join-scca. Members will receive a $5 discount to autocrosses and are eligible to purchase a season pass which can save up to $240. Contact registrar for more details. If the event is full, you may continue registration anyway and you will be added to the waitlist. If there are cancelations, you will be notified via email if there are openings.